Voyage through the Void by Nobuho Nagasawa is a lovely work that really requires peace and quiet. The artwork has grown over the years from its inception in 2013. 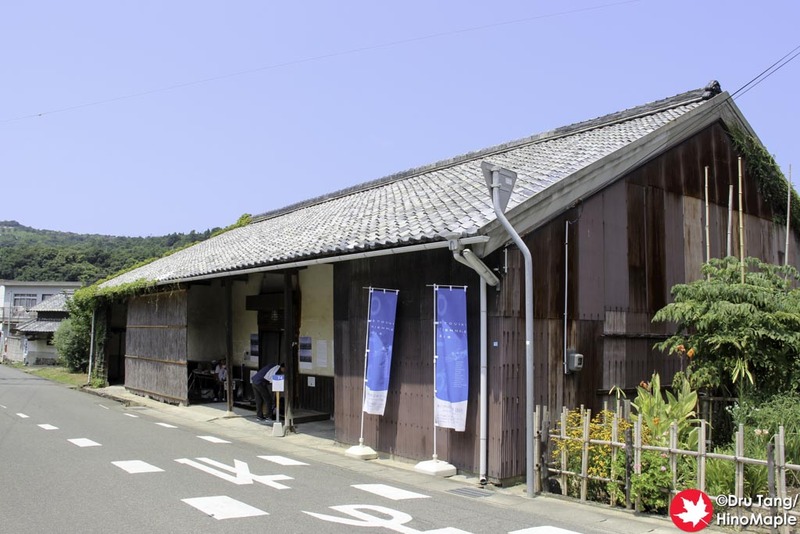 It is located up in the hills of Hitoyama so it is a bit inconvenient to visit. I was thankful for David of Setouchi Explorer for showing me around and driving most of the time. We were able to visit this wonderful work and I really enjoyed it. The main exhibit is located inside an old store house that is pretty big. You have to take off your shoes and once you enter you are engulfed with darkness. Once your eyes adjust to the darkness you quickly focus on a blue glowing boat. Nobuho Nagasawa was very creative in suspending a small boat in the middle of the store house and fixing LED lights all over it. The blue LEDs made the entire boat glow and as the boat swayed it created a rhythmic trance. While you are there you can actually board the boat and lie down. The boat is only big enough for a single person at a time and there is a volunteer there to help you in and out of the boat. There is also a small step to aid in getting in and out of the boat. When it was my turn to get in, I quickly felt comfortable and enjoyed the swaying boat and the blue glow. Imagine being in a sea of blue fireflies. There was also a speaker that quietly played the sounds of the sea to help with the experience. The idea of Voyage through the Void is to allow you to contemplate death. I felt that this was a bit too morbid and decided not to do this. Instead I used this time to meditate and just think about either nothing or just life in general. While I can see the relationship of this artwork with a voyage into the afterlife, I don’t think I would have enjoyed it as much if I had done so. As you meditate inside the boat, you can stare up at the ceiling and imagine you are floating in the sea at night. It was a lovely experience to imagine but unfortunately the boat was not very comfortable. 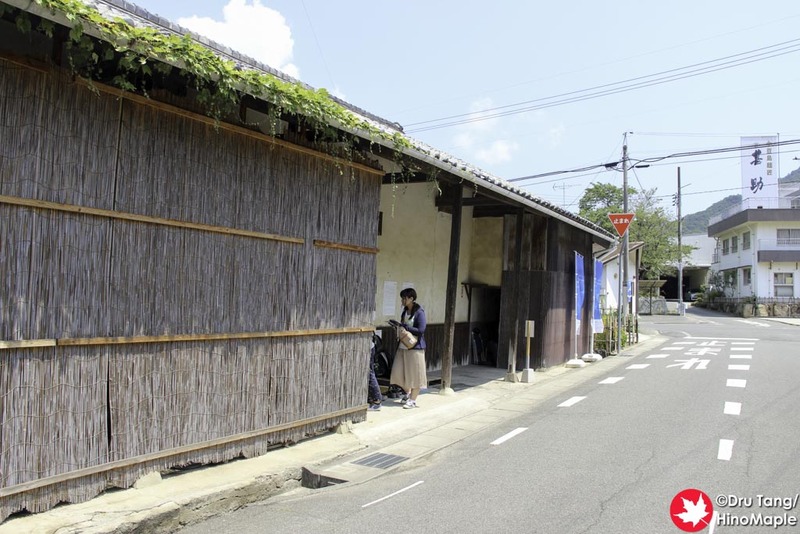 Nobuho decided to use a grate like cover for the bottom. It is similar to cheap shelving units that you put together yourself. It was designed this way to allow the blue light to permeate around you but this made it uncomfortable. While I was relaxed lying on my back, if I tried to move at all it became very uncomfortable. I thought it would have been better to create a more comfortable platform at the expense of the lights. When you finish with the main room, you must not forget to head to the side room. Unfortunately I was told that it was partially incomplete at the time. There was a large white sheet hanging on one wall but unfortunately a black light was broken so I couldn’t see a figure of the boat glowing from the black light. It was a pity that I couldn’t see it but that is just another reason for me to visit again in the future. Overall I loved Voyage through the Void. It is a wonderful exhibit and I really hope I can revisit it again. I could spend hours just relaxing in the boat but unfortunately there were other people who wanted to experience it too. If you need a place to relax, be inspired, and be in awe of a blue glowing boat, Voyage through the Void is a wonderful place to contemplate everything. Note: Voyage through the Void is currently unavailable on Shodoshima. Seattle City Hall with explanation on what she does. 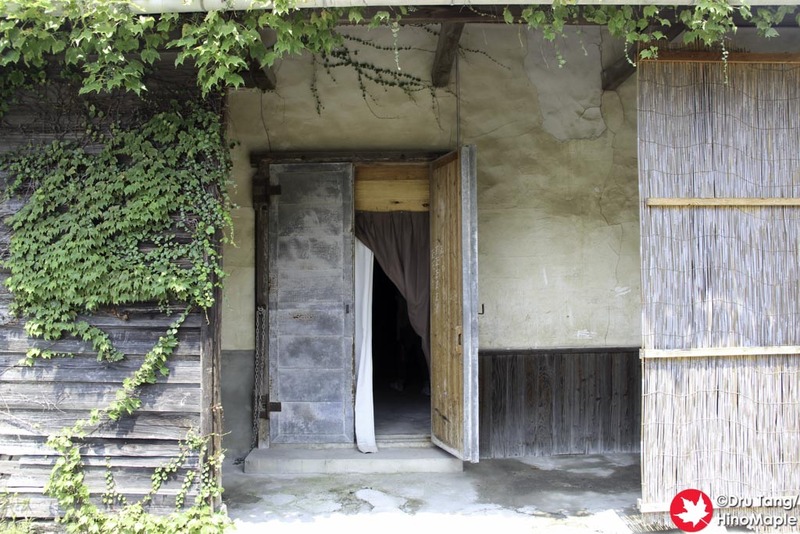 This entry was posted in Setouchi Triennale and tagged Cradle of the Sea, Hitoyama, japan, Nobuho Nagasawa, Shodoshima, Voyage through the Void by Dru. Bookmark the permalink. It was a pleasure to drive around with you on Shodoshima. I hope we’ll get to do it again in two years. As you said, the boat is pretty uncomfortable, but had it cushion or something similar, it wouldn’t look as amazing. I may have bad news. I was wondering why it wasn’t currently listed on the official website. I always assume that art that remained open between 2013-2016 is permanent, but they have started to remove some old art (for example, I was shocked a few weeks ago to realize that Sea Vine has been dismantled on Ogijima). I don’t have clear information about Voyage through the Void, but I wouldn’t be surprised if it was gone too. I think it isn’t difficult to add a cushion of sorts that is clear. Maybe a clear air mattress like thing? Not sure to be honest. They have removed this? That’s too bad. Sea Vine is a terrible one to remove. I’ll have to update the artworks again in the future to mention which ones are still around and which ones are not. Maybe my oshogatsu project. 🙂 Keep me updated whenever there are artworks that are taken down. I need to keep a list. Also, keep an eye on my posts on various social media, sometimes I mention them (Dream of Olive was dismantled a couple of weeks ago). The official site is a hit or miss (sometimes they update quickly, sometimes they won’t for a few months).